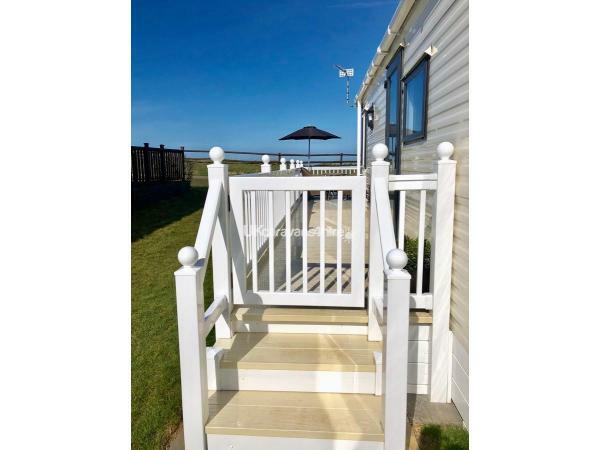 Welcome to our Willerby Cameo holiday home which has central heating and is double glazed. 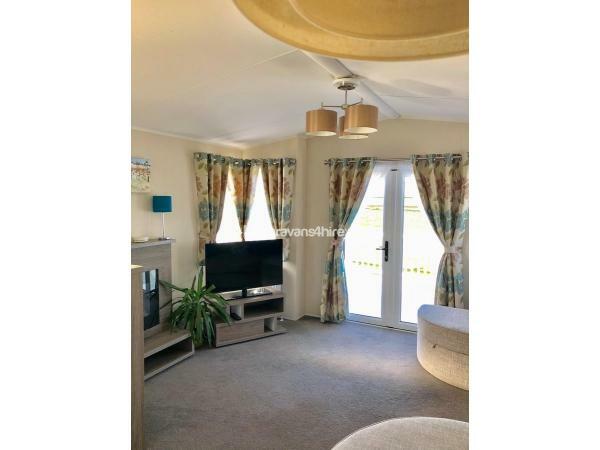 The caravan has an open plan layout and creates a real sense of space and style. 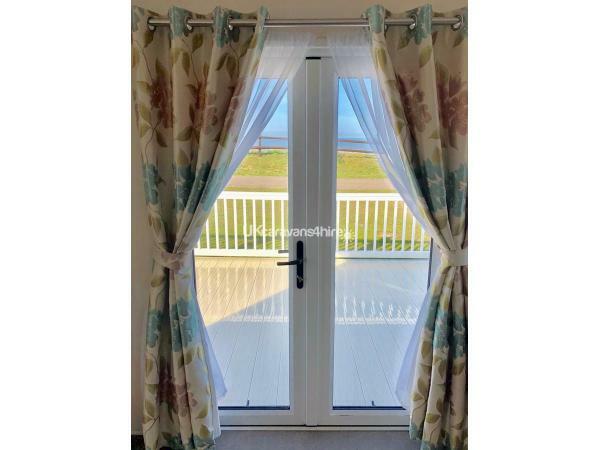 The modern kitchen is fully fitted which includes a gas hob/cooker/grill a microwave oven a full size integrated fridge freezer a kettle and a toaster. 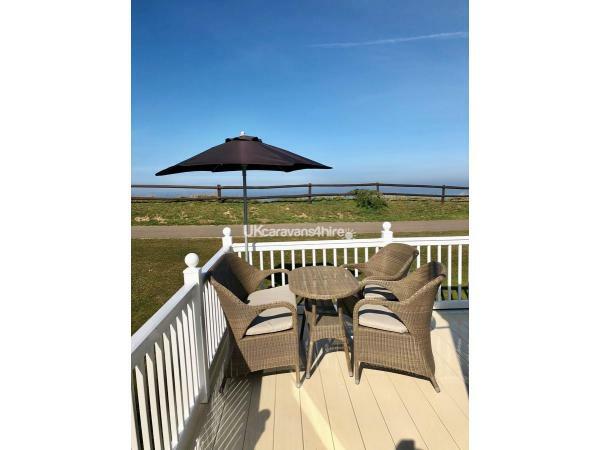 A dining area and a very spacious lounge with French doors that leads directly onto a large enclosed decked area with garden furniture which boasts stunning uninterrupted sea views.The lounge has a large flat screen television as well as a real flame effect electric fire that features an adjustable mood lighting surround. 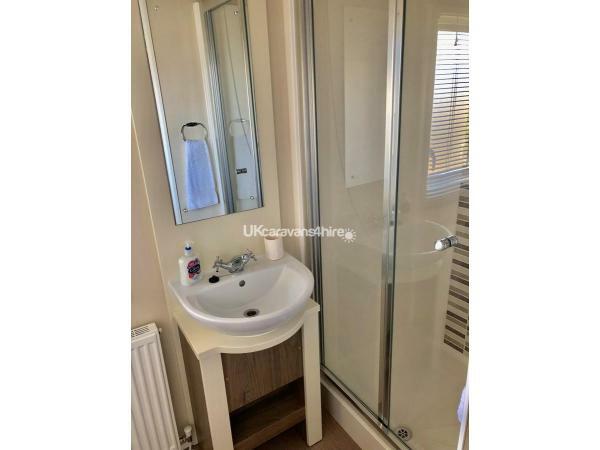 There is a double master bedroom with an en suite also fitted wardrobes and a flat screen television. 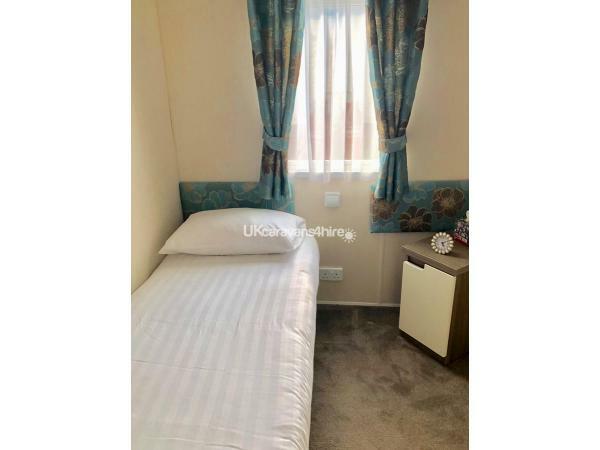 Two single bedrooms each with a single bed with memory foam mattress, bedside cabinet and a half height wardrobe.The bathroom contains a full size shower, wash basin and toilet. All bed linen, towels and tea towels included in the price along with a welcome hamper of essential supplies. All beds will be made up for you prior to your arrival. 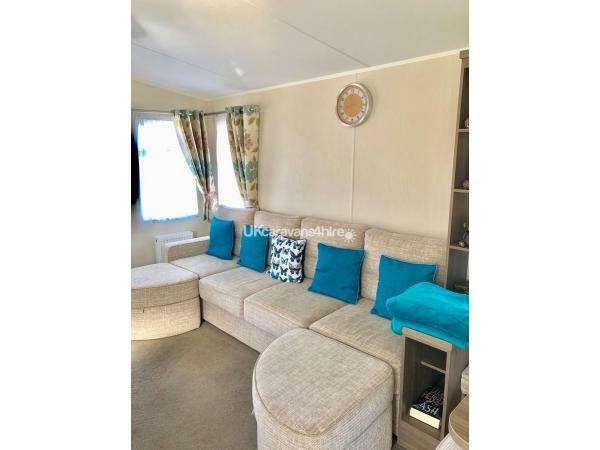 Fire alarms, fire blankets, fire extinguisher and carbon monoxide detectors all fitted in the caravan along with an up to date Gas safety certificate. 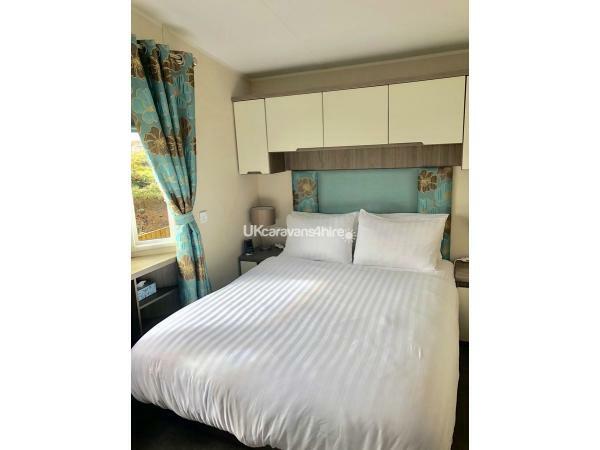 A non refundable deposit of £50.00 is required at the time of booking to secure your chosen dates with the remaining balance to be paid 4 weeks before your arrival . 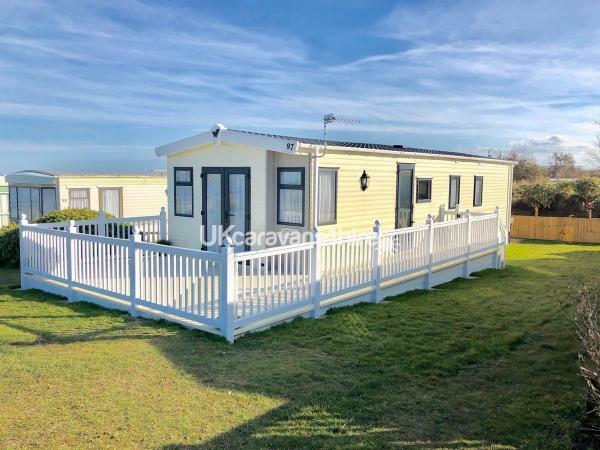 A lovely caravan site with a regular bus service including a pick up point at the caravan site entrance to all major towns and attractions.